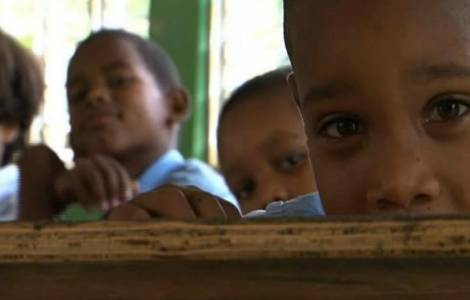 Santo Domingo (Agenzia Fides) - Nearly 13% of minors in the Dominican Republic are forced to work, about 15% do not go to school and 28% are married or cohabit. These alarming data have been reported by the "In Debt with Childhood" Report, presented these days in the Country by Save the Children organization. It is a study of 172 countries ranked from the worst to the best, based on the various obstacles that prevent young children from enjoying their childhood. Among the various factors there are infant death, early marriage, child labor, teenage pregnancy, malnutrition, violence and education.